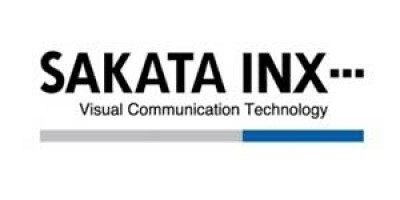 Sakata Inx (Malaysia) Sdn Bhd was established in 1993 as a wholly-owned subsidiary of Sakata Inx Corporation Osaka, Japan. Founded in Osaka, Japan under the name of Sakata Ink Seizousho in 1896, the company name was subsequently changed into Sakata Inx Corporation in the process of globalization and oversea expansion worldwide. Driven by original research and development, Sakata Inx brings continuous innovation and leading-edge products to a broad spectrum of industries, such as water-based & solvent-based flexographic & gravure inks for flexible films, newspaper inks, offset inks for packaging & commercial applications, metal decorating inks for cans, water-based & solvent-based overprint varnishes and several additives. Throughout its activities, Sakata Inx Corporation seeks to contribute to the advancement of culture, science, technology and industry, as well as to improve health and environmental quality. Sakata Inx Corporation’s overarching aim is to help enhance the quality of life of people worldwide. During the 1996 to 2014 period, Sakata Inx (Malaysia) Sdn Bhd (SIM) opened Johore Baru Branch, Melaka Branch and in end 2014, SIM even opened a rep office in Myanmar. The opening of branch offices are in line with the business expansion, as well as to render better service to our customers. SIM is currently certified with ISO 9001:2015, ISO 14001:2015 and OHSAS 18001:2007 (in the process of upgrading to ISO 45001:2018). SIM continues to grow and we anticipate our innovative products are able to cater for both water-based and solvent-based markets especially we have a strong dynamic sales and technical team to provide our best services to our esteemed customers in both domestic and overseas markets. CORPORATE PHILOSOPHY: As a corporate theme, we at Sakata Inx Corp. will strive to improve the life style of society through creative Visual Communication Technology. We promise creativity of communication culture which will enrich the life style of society, as the basis of our existence. As corporate objectives, we set forth to become creative, refined and full of vitality. We shall be responsive, flexible, innovative and progressive. • Customer satisfaction is our primary objective. • We take an aggressive approach toward business development. • We place emphasis on creativity. • We place emphasis on the corporate mind and rewards for achievement. We shall always act, work with the frame of mind that "We always care."